For many families, picking out the perfect Christmas hamper signals the start of the festive celebrations, but how do you know which one's for you? From budget through to theme and occasion, we have something to make this holiday season a truly dream like experience. 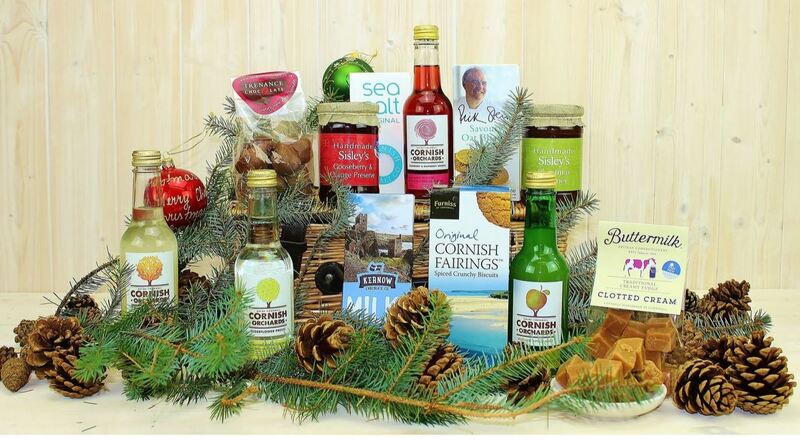 Take a look at our top 5 snow-dusted hampers with a Classic Cornish twist! Celebrate, indulge and relax with everything you need for that Christmas Eve party. 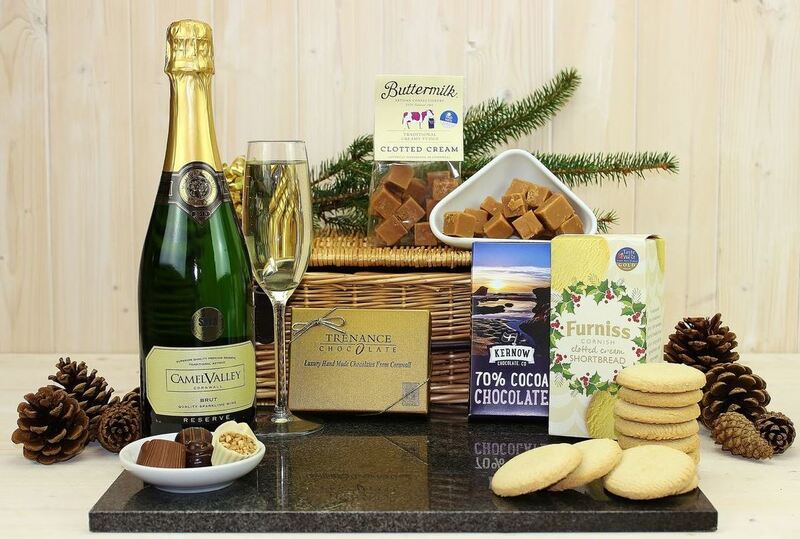 Not only will you enjoy dark, smooth Kernow 70% Cocoa Chocolate and Furniss Christmas Clotted Cream Shortbread, this lovely selection is topped off with a glittering, fruity sparkling Camel Valley Cornwall Brut wine. 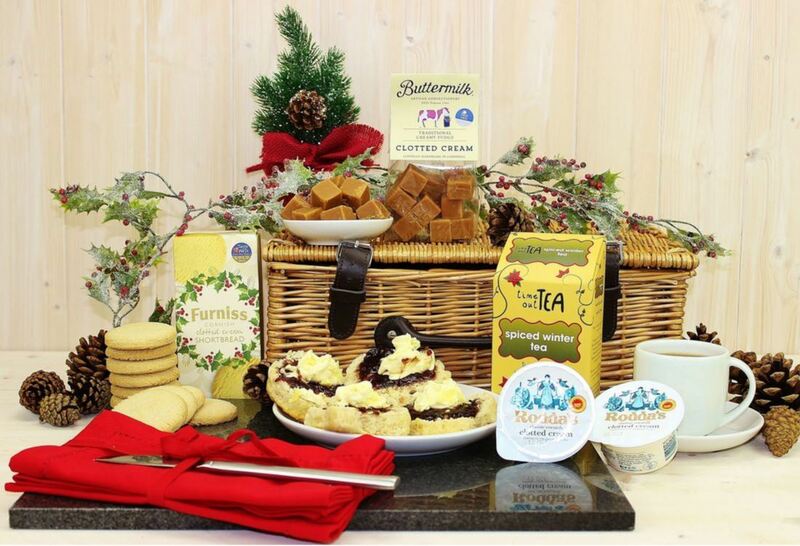 Stock up with this showstopping Chistmas cracker of a hamper! 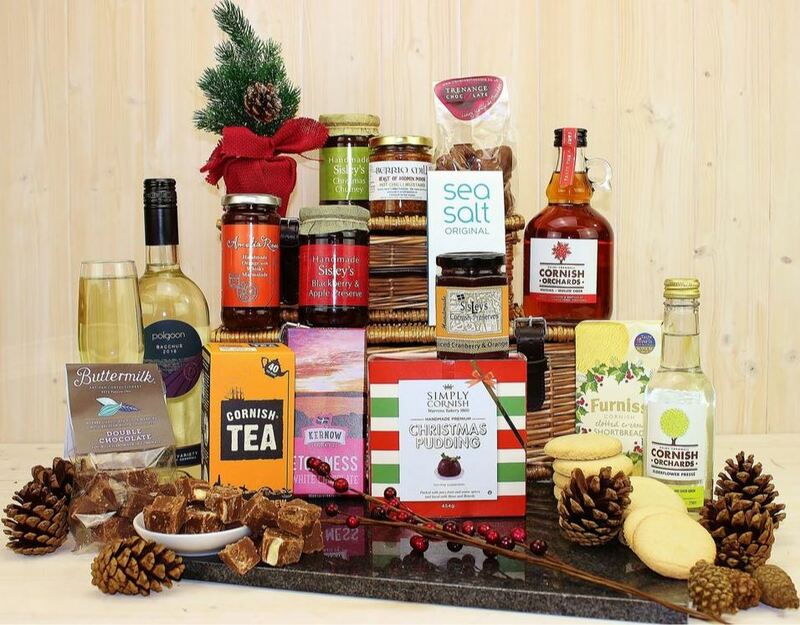 Filled with favourites to light up the darkest of winter evenings, this lovely range includes Simply Cornish Christmas Pudding, Buttermilk Double Chocolate Fudge, a selection of mustard, Cornish Orchards Wassail Mulled Cider, Kernow Eton Mess White Chocolate, and so much more you'll have to check it out yourself! Finding the perfect non-alcoholic alternatives has never been easier with Classic Cornish! This hamper has not only been tailored to suit your personal preferences and dietary requirements, it's absolutely packed with enough treats to keep you going well into the new year. 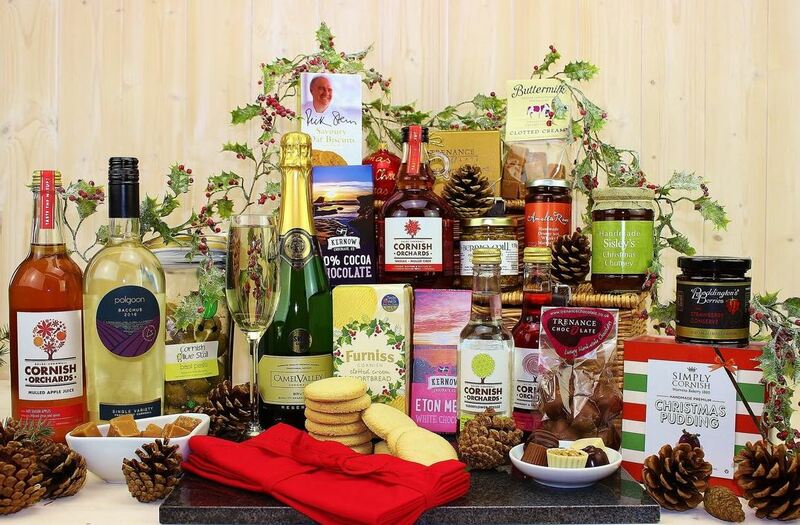 Features a delicious and refreshing Cornish Orchards Cranberry & Raspberry Sparkle drink, a wide selection of chocolates, Christmas chutney, clotted cream fudge and many of irresistible snacks to entertain you.